We are at a pivotal time in the existence of the human race. An estimated one in six Americans are taking psychiatric medications and there is a rampant epidemic of prescription drug abuse across the country. Depression is the leading cause of disability, globally. We have never been more ‘connected,’ yet we have never felt more disconnected. It is scientifically proven that we are all ‘cousins’; nearly identical in DNA structure, yet we tend to focus on our differences: race, religion, gender, politics. We are disconnected from each other and from our common origins. One viable solution to this problem might be a one more ancient than technological. It’s time to decriminalize the use of psilocybin mushrooms. In America, we are currently experiencing the early phases of a psychedelic renaissance. Decriminalization of psilocybin is going to the voters in Denver this May and there is an effort in Oregon for it to be on the 2020 ballot. Due to the mental health crises and substance abuse epidemics here in Alaska, and beyond, it is ‘high time’ for a psychedelic re-awakening. To continue to ignore both the medical and social benefits derived from psilocybin mushrooms would be a lost opportunity and potentially a fatal mistake. But don’t psychedelic mushrooms make you go crazy? Don’t they make you lose your mind? Let me address that one and quickly dispel that myth. The fact is that .01 percent of the 40,000 plus participants in pre-prohibition trials displayed signs of psychosis. I’m asking for you to take a little walk through the woods with me here. I need for you to forget everything that you have ever learned about psychedelic ‘drugs’. Unlearn all of the government’s ‘flying off buildings’ fear propaganda; as well as the Timothy Leary ‘turn on, tune in, drop out’ misguidance. This is not what we are talking about. We are not talking about using psychedelics to trip at a rock concert. We are talking about using a powerful medicine that has been used sacredly under the guidance of a shaman/healer/guide for over seven millennia to help break through barriers, dive into our subconscious levels to help us unlock the root causes of our addictions, post-traumatic stress, depression, end-of-life anxiety, and a myriad of other societal issues. I’m asking for you to examine the clinical evidence, consider the spiritual experience and to accept that it is a meaningful step toward addressing our current global mental health concerns. President Trump recently signed ‘Right To Try’ legislation into law, allowing patients with terminal illnesses to use medicines and treatments that are still in the Food and Drug Administration’s pre-approval stages, potentially paving the way in allowing patients the ability to utilize potentially life-saving experimental treatments, helping to sidestep the FDA’s lengthy approval process. So, let’s go back to the beginning — all the way back. The first organisms to inhabit the planet Earth were fungi, roughly 1.3 billion years ago. It’s theorized that we separated from fungi about 650 million years ago. We are biologically closer to fungi than anything in the plant kingdom. Our best known antibiotics derive from fungi. Fungi have always been part of the solution yet we know less than one percent about the estimated five million fungi species. Beneath our feet runs an interconnected web of fungi, known as mycelium. Think of this as the Earth’s interweb. A single cubic inch of soil contains about eight miles of mycelium. A single footprint contains about 300 miles. “The mycelium is sensient, it knows that you are there,” says renowned mycologist Paul Stamets. “When you walk across landscapes it leaps up in the aftermath of your footsteps trying to grab debris.” Stamets goes on to compare the mycelium networks and pathways as nearly identical to our own neurological pathways. It reacts to trauma. When one pathway is broken, it reestablishes a new, more efficient one. Mycelium breaks down organic matter and then provides nutrients to give life in return. It has the strength to bore through rock. The largest organism on Earth is a 2200-acre mycelium pad in Oregon that is estimated at over 2,000 years old. Amazingly, this organism is just a single cell wall thick. The fruit of the mycelium is the mushroom. Mushrooms have captivated me since early adolescence, when my father and I would ‘hunt’ mushrooms in upstate New York. We were often in search of Hericium Erinaceus, aka Lion’s Mane, aka Bear’s Head, as we called them. Hericium have been used medicinally in China for over 2000 years for inflammation and for lowering blood sugar. Recent studies show potential nerve cell stimulation in Alzheimer’s patients. On top of that, they grow here in Alaska, right in your own backyard. They grow on decomposing logs, and man are they delicious. Hallucinogenic mushrooms have been used globally, since time immemorial, for the healing of physical and spiritual affliction. Cave paintings in Spain carbon dated between 6-8,000 years ago depict our reverence to mushrooms. Albert Hofmann, discoverer of LSD and chemist at the Swiss Sandoz Pharmaceutical Company, isolated psilocybin from Central American mushrooms in 1957. There were more than a thousand scientific and clinical studies of classic psychedelics published throughout the 1960’s. The benefits of psilocybin in the treatment of depression, anxiety and other disorders were first suggested in the 1960’s when psilocybin was marketed in many countries, including the United States, under the trade name, Indocybin. Indocybin was offered free of charge to practitioners as long as they would report findings back to Sandoz. Indocybin was used safely as an adjunct to psychotherapy, but the governmental and societal backlash in the sixties led to a ban on marketing and possession of “hallucinogenic” drugs in the U.S. in 1965 and a majority of the research was curtailed. 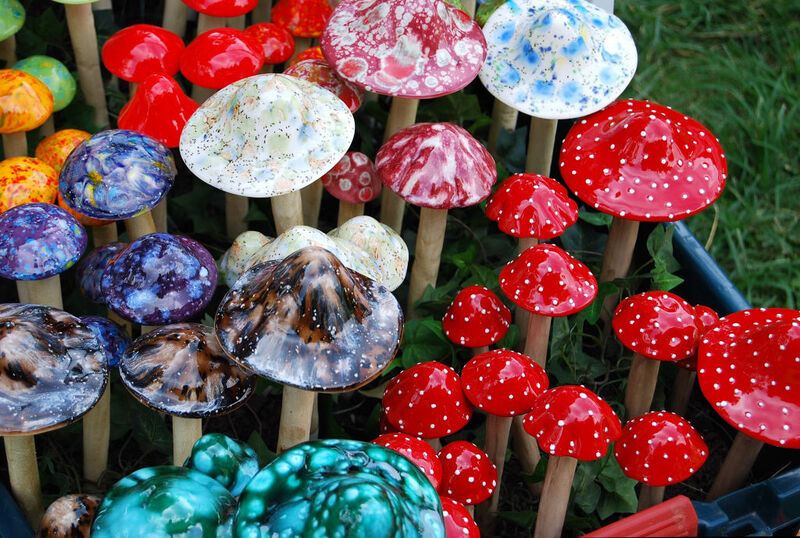 Since 1970, authorities have considered psilocybin a Schedule I narcotic, meaning that it has a high potential for abuse and no recognized medical use. According to the growing body of research; neither assertion is valid. According to the Global Drug Survey taken in 2017 with over 150,000 participants, psilocybin is by far the safest of all recreational drugs, taking into account harm to self and harm to others. But in recent years, numerous clinical studies by top universities have shown that psilocybin may hold significant therapeutic value for treating persons with PTSD, depression, anxiety, addiction, and other mental-health challenges, often with just one dose, while other treatment modalities have failed. Removal from Schedule I can only occur if a medicinal product containing a Schedule I substance is approved for therapeutic use as a drug by the FDA. The FDA has recently granted Breakthrough Therapy Designation for MDMA-Assisted Psychotherapy for patients with PTSD. Methylenedioxymethamphetamine (MDMA) is not the same as ‘Ecstasy’ or ‘Molly.’ Substances sold on the street under these names may contain MDMA, but frequently also contain unknown and/or potentially dangerous adulterants. This psychedelic resurgence has been fueled, in part, by a need for alternative modalities, because the ones that we have are losing effectiveness. There is a renewed appreciation of the potential viability of these substances in advancing the study of the brain and behavior. Another significant reason that it is turning around at this point is that the individuals that passed the oppressive legislation during the Drug Wars are no longer in charge and the generation of people coming into power are part of of population that have experience safe use of psychedelics. So how does psilocybin work? There is still a lot we don’t know, thus the need for additional studies. We do know that soon after psilocybin is ingested it is broken down into psilocin, which stimulates the brain’s receptors for serotonin, a neurotransmitter that promotes positive feelings. Psychedelic molecules are physically similar to serotonin, thus the two fit into the same receptors in the brain, like a key into a lock. In some cases, these substances seem to directly alleviate feelings of anxiety, even at very small doses; below perceptible levels. For other people, psychedelics help them explore the root causes of their anxieties and fears and help them to find peace with them. And for many people, psychedelics bring them to a place, a spiritual peace and openness that can ‘expand the mind” and help them let go of their anxiety. Psilocybin appears to positively alter brain network dynamics, setting the stage to re-establish themselves in more efficient ways. It is now known that serotonergic-acting psychedelics, including psilocybin, have anti-inflammatory effects and may have efficacy in treating some inflammatory diseases. Inflammation of the brain has been linked to several psychiatric disorders including depression, addiction, and neurodegenerative disorders, such as Parkinson’s and Alzheimer’s disease. Dr Robin Carhart-Harris, Head of Psychedelic Research at Imperial College in London, England led a seminal study into the use of psilocybin. He stated, “We have shown for the first time clear changes in brain activity in depressed people treated with psilocybin after failing to respond to conventional treatments…. Several of our patients described feeling ‘reset’ after the treatment and often used computer analogies. For example, one said he felt like his brain had been ‘defragged’ like a computer hard drive, and another said he felt ‘rebooted’.” Psilocybin may be giving these individuals the temporary ‘kick start’ they need to break out of their depressive states and these imaging results do tentatively support a ‘reset’ analogy. Carhart-Harris and his team utilized two brain imaging methods to measure changes in blood flow and the cross communication between brain regions. Patients reported a decrease in depressive symptoms, corresponding with anecdotal reports of an ‘after-glow’ effect, characterized by improvements in mood and stress relief. So why mushrooms, and why now? It has been said that psychedelics could be to psychiatry what the microscope is to biology or the telescope was to astronomy. Bear in mind that telescopic science was prohibited in 1616 for over 100 years, in fear that people may discover that planet Earth was not the center of the universe. The conventional approach to anxiety and depression treatment typically involves expensive, ineffective and brain-altering drugs. I asked Dr. Kerst why he felt this therapy is so important to us here in Alaska. The financial numbers are large, too. The most recent data provided by the Alaska Mental Health Trust Authority suggest that alcohol and drug abuse alone cost nearly $3 Billion annually. “We’re interested in studying how these substances may be therapeutic in small dose microdosing studies, but also in larger doses, where they administer a large dose of psilocybin mushrooms to somebody with the help of a guide or a therapist,” Kerst said. My personal theory falls along the line of Oliver Wendell Holmes’ famous quote, “The mind, once expanded to the dimensions of bigger ideas, never returns to its original size.” Researchers at Johns Hopkins believe that the long-term efficacy of psychedelics may be due to the quality and the depth of the experience. I asked Dr. Kerst if he could prescribe psilocybin in any capacity today. Kerst believes that psilocybin being a Schedule I substance is ridiculous. The studies Dr. Kerst is referring to were conducted by research teams at John Hopkins University and UCLA. Recent clinical studies have shown dramatic reductions in anxiety after a single psychedelic experience with psilocybin mushrooms. Even for patients facing the extreme anxiety of terminal illness, psilocybin allows them a better opportunity to embrace their fate and find peace with their loved ones. The Johns Hopkins group reported that psilocybin decreased both clinician and patient-rated depressed mood, anxiety, and death anxiety. The results showed increased quality of life, sense of connectedness, and optimism. Participants expressed an increased belief that death is not an ending, but rather a transition to something even greater than this life. About 70% reported the experience as one of their top five spiritually significant lifetime events, including the birth of a child or death of a loved one. I asked Dr. Kerst what his biggest frustration with not being able to provide his patients with a therapy that his patients could greatly benefit from with even a single dose. I asked Dr. Kerst how we can get past the stigma that psychedelics are dangerous hallucinogens that could cause us to lose our minds. My final question to Dr Kerst as we are coming back full circle through our walk in the woods. I asked, beyond the medical, would you touch on how these therapies affect connectivity? There is an abundance of interesting YouTube videos and reports on the history and efficacy of psilocybin. I urge you to educate yourself and help support the effort to provide this proven therapy for patients that could benefit from them. It comes down to our basic human right to search within oneself; seek to better oneself through the use of an organism that grows out of the ground. The Alaska Psychedelic Society can be found on Facebook.